Off The Grid MTB runs DofE expedition and residential mountain bike programmes for individuals, schools, groups and businesses. We are passionate about being all inclusive for everyone and are able to provide opportunities for anyone wishing to achieve an experience on a bike. All the courses are based out of Badaguish, which is a truely unique place, with the Cairngorm's on its front door step. Accommodation can be provided from 12 -17 bed lodges, pods sleeping 4 and camping areas. We have experienced instructors, supervisors and assessors with years of experience in green class rooms around the UK and beyond. If you really want to trek or canoe then we can provide this as well. Off The Grid Mtb offers flexible DofE expedition programmes for Bronze, Silver and Gold participants. Our aim is to make the expedition section as stress-free and enjoyable as possible with options that will enhance any planned journey through this amazing landscape. We will work with you to answer questions and give you options to tailor your experience to meet your expectations and meet to D of E requirements for the award you are aiming for. ​We enjoy what we do and this is evident in our delivery and approach to expeditions. There is a serious side but enjoying the experience and reducing stresses that participants might be experiencing is easy with our very experienced, friendly instructors. We have procedures in place that will provide peace of mind for group leaders and allow you to relax and enjoy a great expedition experience with your groups. We aim to bring individuals together on our open programmes for Bronze, Silver and Gold expeditions and Gold residentials. Open programmes are perfect if your school doesn't run expeditions, you can't make your school or group's dates, you don't have a group to take part with or you fancy meeting new people while having an adventure. Our instructors are experienced at bringing people together, helping you to feel welcome and mentoring you and your team mates to success. 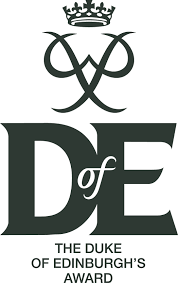 DofE is the worlds best-known and most respected kit mark of youth achievement. No other activity offers such a rounded programme of personal development, which is why large businesses offer the DofE awards to their colleagues under 25.